How can you make your app go viral? And what role can social influencers play in this game marketing strategy? To go viral is to become popular suddenly through rapid sharing from person to person or word-of-mouth. It’s every indie game developer’s dream to have their app go viral and quickly become a trending topic. Viral apps receive thousands of downloads, an increase in reviews, buzz, and revenue. So, what’s the secret to getting people to want to share and post about your game to others? The answer might surprise you. It all comes down to design and how you promote your game. If you want to make your app go viral, you have to design it in a way that will encourage users to share. Creating your game with viral potential is important. It’s also one of the key factors that top publishers search for, and that you should try to include in every game that you make. An app with viral potential has a ‘wow factor’ or something special that makes it worth talking about or sharing. Anything that can engage and grab a player’s attention long enough to evoke emotion has the potential to go viral. When you’re making a game, try to include one or multiple ‘wow factors’ within your design. Add unique gameplay and high-quality graphics but don’t stop there. Research and study trends to discover an untapped gameplay mechanic or style that you can integrate into your app. Find games that are performing well and use the model and improve technique to help you come up with more innovative game concepts that you can use. Creating a game with a new twist on a familiar gameplay mechanic could be a ‘wow factor’ worthy of getting players talking. Adding never-seen-before effects, eye-catching graphics, wacky unlockable characters, funny sounds, or an excellent soundtrack that music enthusiasts would want to tweet about can help as well. All of them have the ability to make a user connect emotionally to the game. The secret is to make a game that is addicting. Any app that can capture someone’s attention and fully engage them has viral potential. Another way to make your app go viral is to create a game that is challenging. You can accomplish this by adding hard or almost impossible to beat game modes into your app or by making your gameplay fun but harder than other similar titles. An excellent example of this is Dong Nguyen’s game called Flappy Bird. The game had been out for over a year before it went viral, but when it did, it became one of the most popular games to hit the mobile scene. The gameplay mechanics were based on the classic Super Mario games, but Nguyen added a twist. He made the game extremely challenging. One person tried his game and found themselves completely obsessed and frustrated with how difficult it was. They went to social media and started tweeting about the app which led to others trying it and posting about it. Practically overnight, the game had quickly gone viral. Flappy Bird was making thousands of dollars per day and skyrocketed to the #1 position on the charts. The game’s success was due to its ability to evoke emotion from its players. Although it appeared to be straightforward and easy to play, the game was in fact, extremely hard. The challenge of playing and successfully clearing a level created a ‘wow factor’ that was worth sharing. A good reward system can also be a ‘wow factor.’ Hipster Whale’s Crossy Road is a great example. Their reward system is timed to provide players with cool bonus gifts for staying engaged. The ability to get ‘free stuff’ and unlockable characters just by continuing to play gives it a ‘wow factor’ of its own. If you want to make your app go viral, you also have to make sharing easy for your users. Integrating built-in sharing options into your app and encouraging players between sessions to share, post or tweet their score can increase your odds of going viral. Basing your game concept on current trends is another strategy that you can do to make your app go viral. This method can produce some serious results if your timing is right. If you want to make a viral app, you have to stay on top of the most current pop culture trends. Keep track of the top trending topics and hashtags on popular social media platforms like Twitter, Facebook, and Instagram. Check Google Trends, and YouTube trending feeds. Then find a trending meme or craze like the latest dance or online challenge that’s still gaining speed and incorporate it into your game’s theme. We’ve seen many of our Buildbox customers create meme based games that have gone viral using our software. Games like the Water Bottle Flip Challenge, Juju on the Beat, Running Man Challenge, Damn Daniel, Cash Me Outside, Trump on the Run, and Bernie Sandwiches all went viral. They also all used this technique by creating a game based on current trend. However, the secret to their success was the fact that they were able to quickly create their game and release it while the trend was still trending online. The key when you’re creating a viral app is to act fast. You have to release your app while it’s the latest thing. All of the meme based games that were created using our software like Damn Daniel, JuJu on the Beat, and Cash Me Outside reached the top of the charts because they were one of the first games released based on that specific meme. The timing was perfect. If you want to make your app go viral, you have to take action right away and get it released in ample time. Develop your game quickly or use a codeless software with rapid development features like Buildbox to make your viral app before the trend fades or the competition becomes too fierce. Game creators often overlook the potential of social influencers, but they can produce great results in your game marketing efforts. Hiring or partnering with social influencers (people on social media with large followings and credibility) to promote your game can make your app go viral. No one knows how to draw awareness and engage better than someone who has already managed to dominate a particular niche or platform on social media. Also, you don’t have to be a major studio to work with social influencers either. We’ve seen many developers do quite well with this tactic working on a smaller budget and scale. First, you decide on your budget and the max amount you’re willing to spend. Then you find social influencers on social media platforms like Twitter, YouTube, Instagram, Musical.ly or Facebook with your target demographics and reach that you believe could be a good fit for your game. You follow and connect with them, then go in for the ask and see if you could hire or form a partnership. If they agree to it, they’ll promote your game to their thousands of followers to help get the word out. For each app that you’re trying to push, you’ll typically use 2-3 different social influencers. 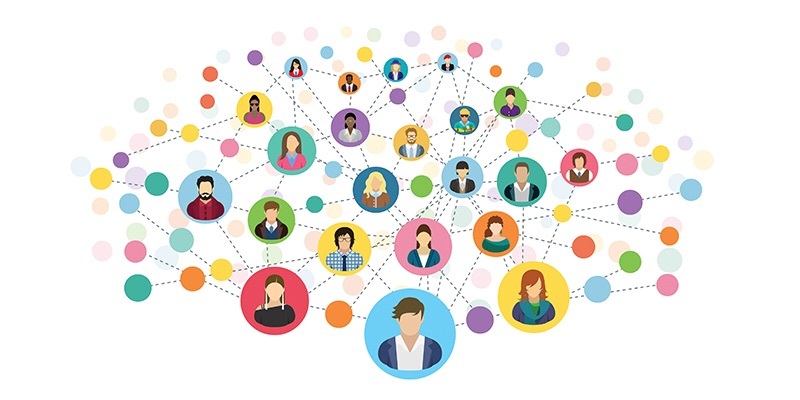 You can find social media influencers yourself, or you can use social influencer software or agencies to connect. Each route has its share of pros and cons. The first method which is finding social media influencers yourself can feel overwhelming for many new developers. However, if you enjoy networking and have the time, it can save you some extra money since it’s free to do. You start by doing some research on who you’re trying to target for your app. Is your game designed for casual gamers of all ages or primarily younger audiences? Choose the best social media platform that your potential player base that they’ll most likely be using. Another technique to help you pick a platform to target is to research your competitors and find out which social media networks they target. Create a ‘Social Media Influencer Contact’ spreadsheet in Excel or Google Spreadsheets. In your spreadsheet designate columns to list the influencer’s name, contact info, all social links, notes, and date of contact and follow-up. This spreadsheet will not only help keep you organized, but it’ll also make the reach out process much easier. Using the social media platform of your choice start researching the top social influencers that would be a good fit within your app’s niche. The way you do this can vary with each platform, but in general, you should search for micro-influencers. These are social influencers with smaller followings (50,000 to 100,000 followers) but have high engagement. The engagement is an important factor when selecting a social influencer. Always aim for the influencer with a lot of likes and comments. Look profiles that have followers that are active and engaged for better end results. When they promote your game, their fans are more likely to click on the link and download your app. Avoid influencers with tons of likes but zero comments. Also, try to scan through their list of followers. If you notice a lot of followers without a profile photo, be aware that they could be bots and the influencer may not be as influential as they appear. It’s important to thoroughly check them out before adding their name to your list. You’re going to be paying them for their shout out or app promotion, so it’s critical that they’re real influencers. Most micro-influencers charge anywhere from $25 to $500 per shout out or post, so you want to make sure it’s worth it. When you’re trying to find social media influencers, you can also use individual sites and tools. Buzzsumo has an influencer search section that allows you to sort through potential users within your preferred niche quickly. There’s also Followerwonk, Klear, Iconosquare, and Traacker that you can use as well. The only downside is that they’re not free. There are also large agencies like Viralnation or Mediakix that connect brands with social influencers, but those are predominately for major companies. If you’re an indie developer, you’ll want to manually find social media influencers or invest in some tools to speed up the process. Most influencers have their contact information listed, but if you’re having trouble finding it, you can use sites like EmailHunter.co. Try to identify and connect with your target influencers early on and follow them. Retweet or like some of their posts and comment to build up a rapport. It’s also important to personalize your email when you’re contacting an influencer. Compliment them, let them know why you wanted to get in touch and how your app or game could benefit them and why their followers would be interested. Then ask them for a shout out or whatever promotion you’re trying to set-up. Be sure to include all your contact and social handles and any specific hashtags you want to be used. Finally, end the email asking them if they have any questions, politely give them a deadline and thank them. Mark in your spreadsheet when you sent out the request and follow-up if you don’t receive a response. If you happen to be skilled at networking and have a significant following on social media, you can approach social influencers to form a partnership. In a partnership, you help each other to promote various projects or collaborations. However, this tactic is primarily for more established developers. If you want to make your app go viral, you have to create a great game with viral potential. Try to add features deserving of a tweet or post. Include ‘wow factors’ in your gameplay, graphics, characters, and effects. Add a difficult challenge to get players talking. Keep them engages with a good reward system. Encourage users to share with clearly visible built-in sharing options within your game. Make your app go viral by basing your game concept on a trending meme or craze. And don’t turn a blind eye to the power of today’s social media influencers. You can use social influencer marketing strategies to go viral. Try to identify your influencers early on. Target micro-influencers when you’re just starting out and working within a budget. And always check their engagement, followers, and comments before you connect. Following these tips will help improve your chances of success, but there’s no set formula to make your app go viral. However, with a bit of luck and these strategies, the odds will be in your favor. Thanks tiana for this great article . Some good resources and tips. Great Taina advice and tips ,is you who made “juju on that beat” and “cash me out side” ? Thanks Walid, no Juju on the Beat was created by Squad Social LLC and Cash Me Outside was created by Anonymous Inc.
Hi Arslan, please contact our support team at support@buildbox.com for assistance. thanks a lot for all your advices it is very usefull ! Could it be possible to have an article wich would explain how to become a publisher ? Glad you found it useful. :) We have an article called The 5 Most Important Features Publishers Want in Your Game that you can check out as well. Thanks, for the topic suggestion! Nice article, thank you for sharing it with us. I will definitely try the ‘meme’ idea. Although I already have a game in development I will try to improve the graphics. Do you have some tips on design other then crossy or flappy? Thanks Alex :) Yes, always try to design your game with replay value and retention in mind. It’s those small details that make the biggest difference from a game that’s just ‘meh’ to a game that’s great. Definitely, study other games and look for ways to model and improve on their concepts. You want your game to feel familiar but still be unique. You can learn more in-depth tips in our article called ‘5 Secrets of Game Design.’ Good luck on your game! Thanks Burhan :) Glad you found it useful! Thanks Russell :) Glad you found it helpful. Thanks, Jacob :) Glad you liked the article! That’s an interesting game name. What is it based off of?